As you know, I have a unit at the splendid Customs House in West Bay, down in Dorset. So I thought I'd give you all an update on how its looking! If you venture down to West Bay at the moment, they are currently filming the next series of the hit TV drama BROADCHURCH. So you are more than likely to bump into Olivia Colman or David Tennant!!! Once you've mixed with the stars, pop into the beautiful antiques and art quarter that is the CUSTOMS HOUSE! Have a coffee at one of the groovy cafés and then start to wander around the 200-year-old buildings. Go up the outside staircase and you'll find the ArtPix unit on the 2nd floor! 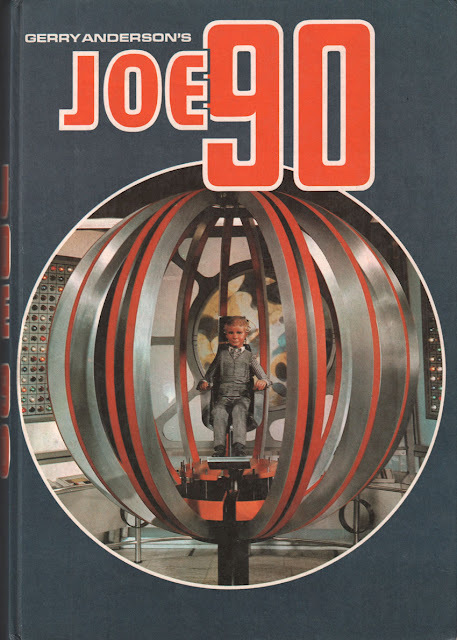 I share it with the amazing Arcane Publishing, and together we present a great mixture of vintage items, original designs and artworks and a great selection of vintage and new books. Have a peep and find that perfect thing you've always wanted for yourself or as a pressie for someone else. 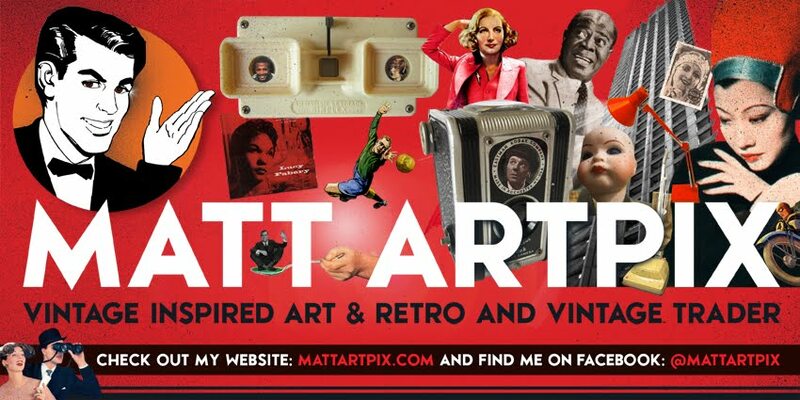 As I'm having a break from doing the many vintage fairs I used to do, including the famous Spitalfields Market and Ally Pally in London, this is your only chance to see our stuff in the flesh! I do hope to have an online shop up and running one day though! 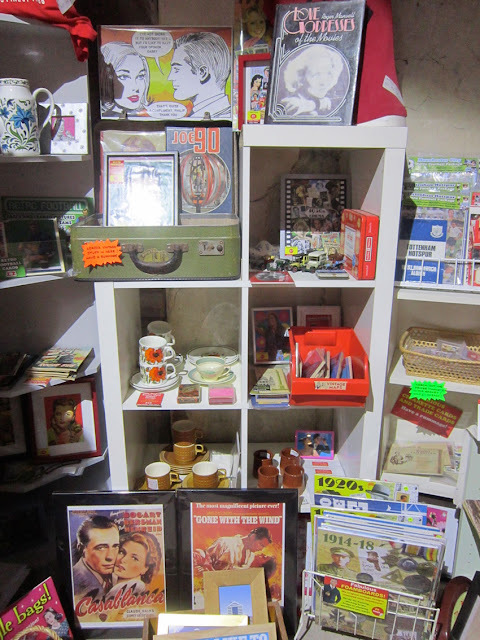 Here is a selection of piccies of the unit and some brand new stock that I put in recently. 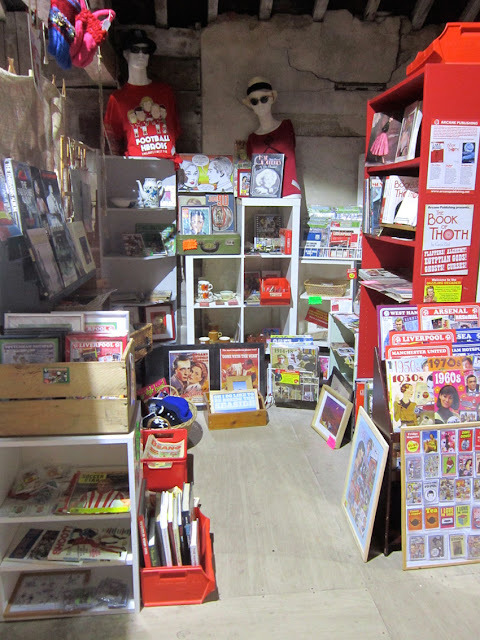 I'll be back there next Tuesday as well to bung a few more things in there, so do have a look if you are down that way. Here it is, the lovely unit! 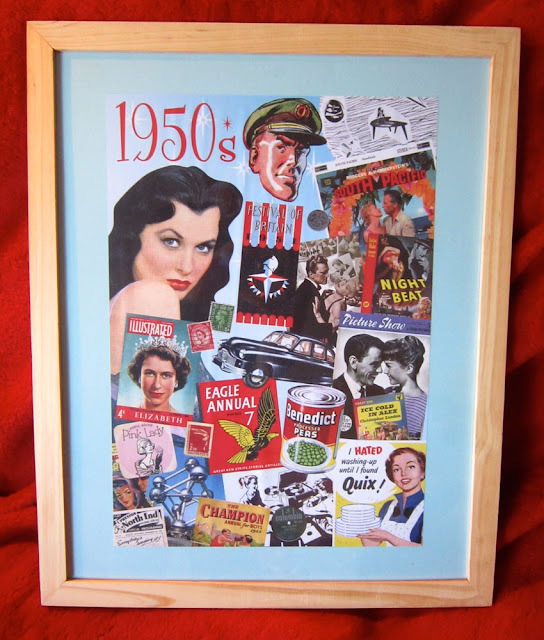 Check out Bertie and Gertie in the background, sorry, but they aren't for sale though! A closer inspection, where you'll find vintage ceramics, maps and cinema posters. 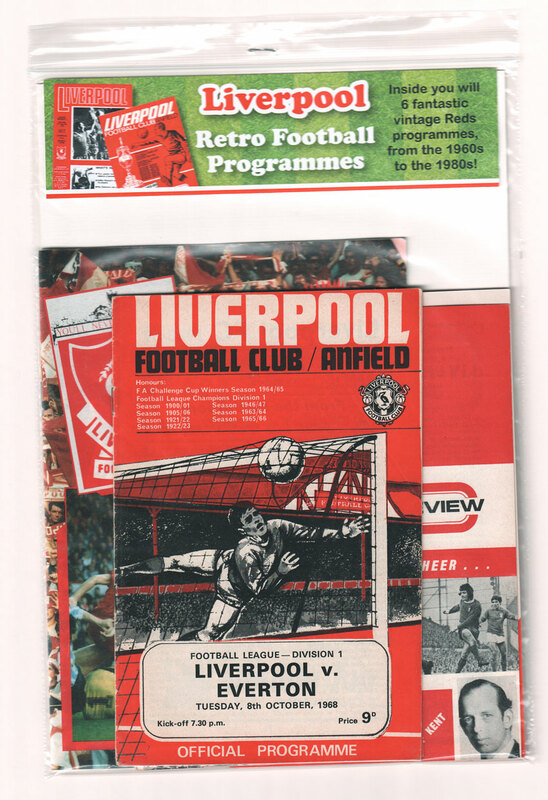 A brand new idea, putting my classic DAZZLING DECADES and RETRO FOOTBALL designs onto A3 laminates. 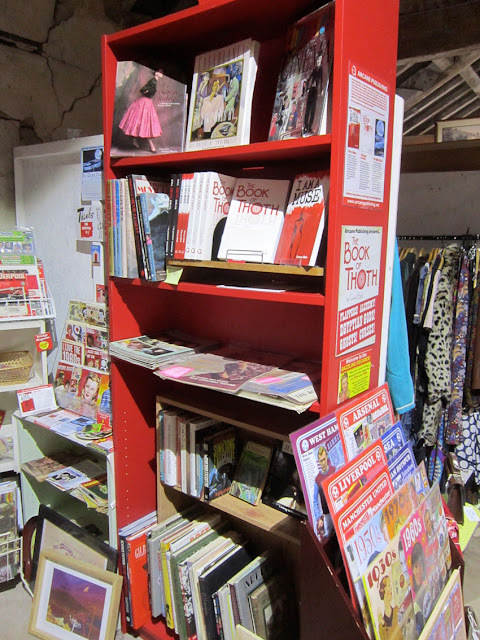 Here is the Arcane Publishing corner! 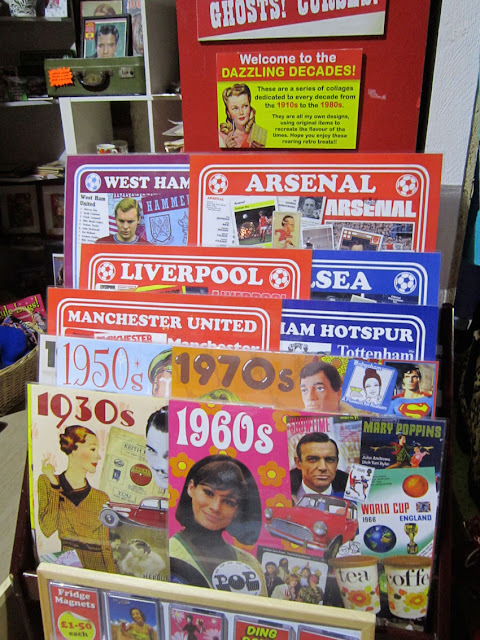 With hard-to-find vintage books on all sorts of subjects. 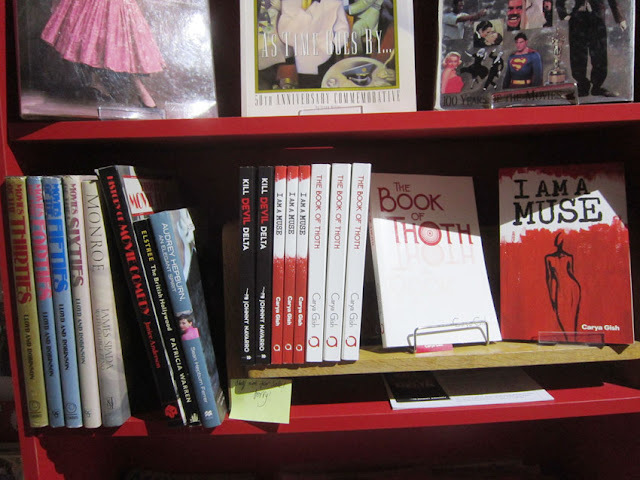 And also find amazing new novels by the legendary Johnny Navarro and Arcane's very own author Carya Gish. I've printed and framed my popular Fabulous Fifties collage onto a 21" x 17" wooden frame. Another new venture here, a fantastic pack of retro Liverpool programmes, with a great selection from the 1960s to the 1980s. 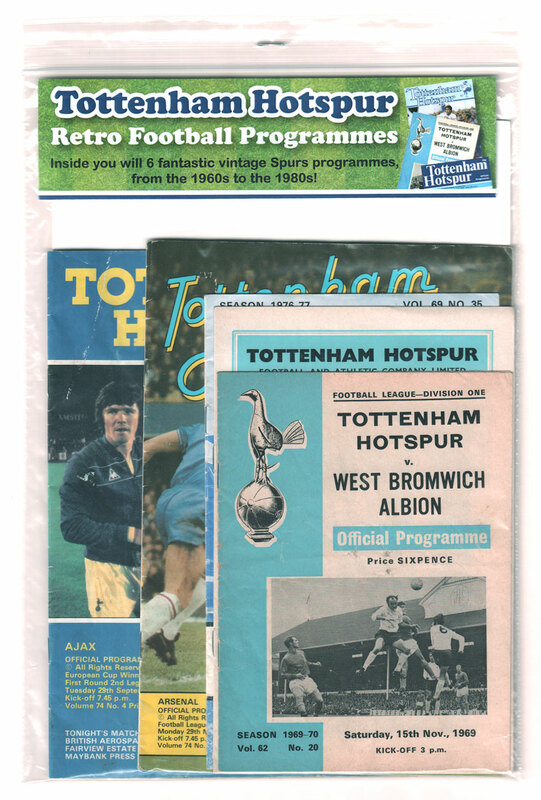 I've also put together a pack of retro Tottenham programmes. 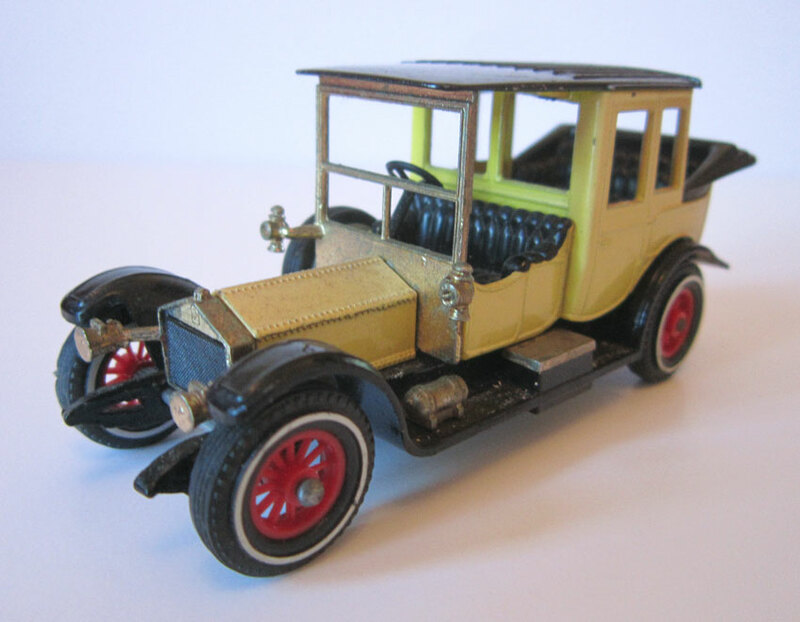 I've raided the ArtPix Archives again to find some great Matchbox Models of Yesteryear from the 70s and 80s. 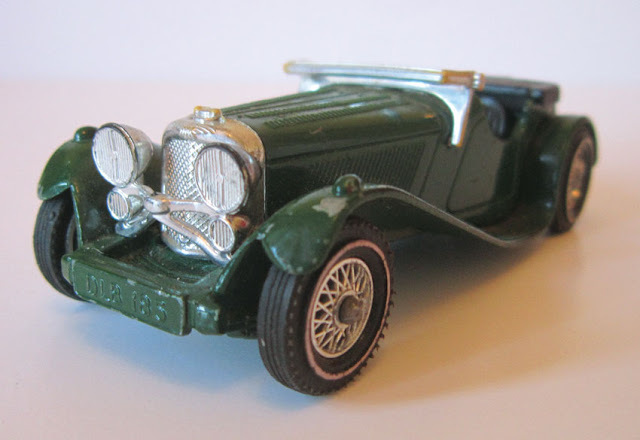 This is a great 1936 Jaguar SS.100 made in 1977. Here is a very regal looking 1912 Rolls-Royce. 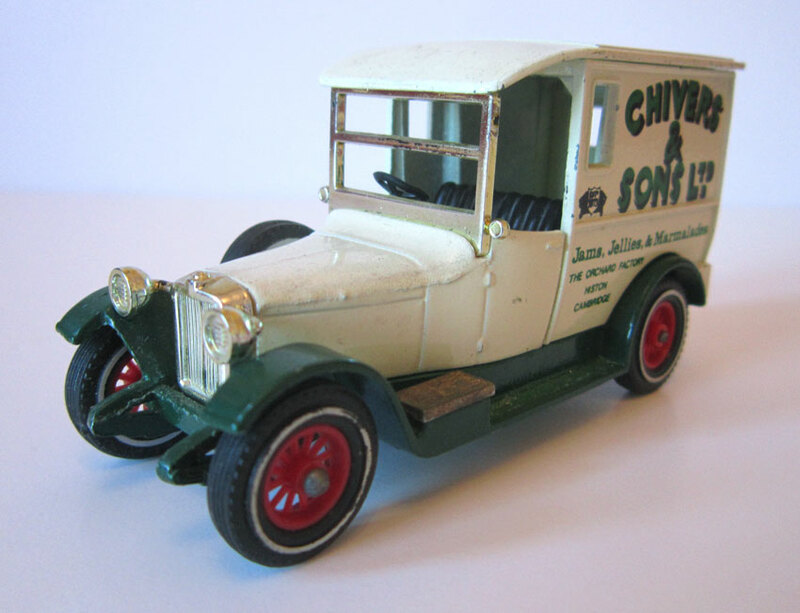 And a 1927 Talbot Van, there are other cars and vans in the unit as well. A fabulously retro 1968 Annual from the cult kids TV show Joe 90. 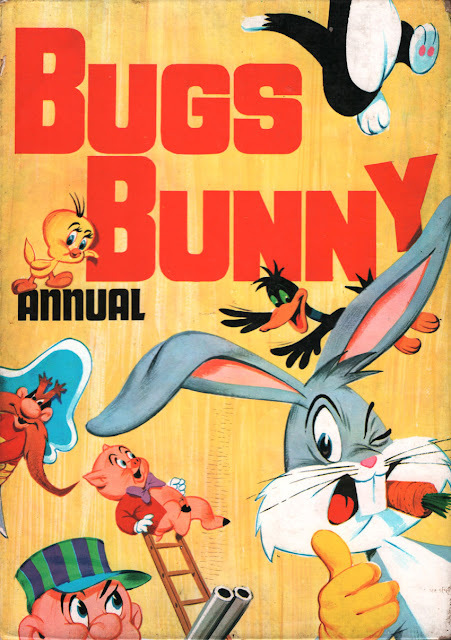 And a brilliant Bugs Bunny Annual from 1970!